The Universal Machine and Engineering Corporation, specializes in automating industry. 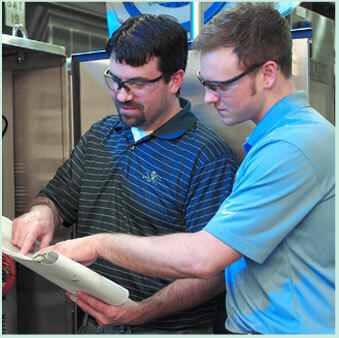 And part of being a single source solution provider to our customers is our fully degreed engineering team. Our engineers design and ensure that each control panel, electrical panel, automated system or robotic device works as specified. 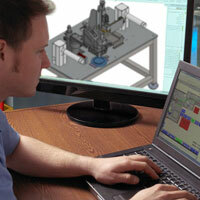 Quality, reliability, accuracy and safety are at the core of every design Universal Machine produces for our customers. 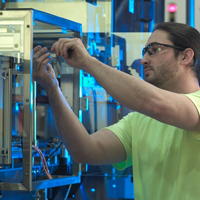 Our customers return again and again because they understand that when they invest in Universal Machine technology, they get the support of a team of Universal engineers to keep their technology running reliably and profitably. Thinking about upgrading your existing manufacturing technology or investing in custom machinery that makes your facility more efficient? Then it’s time to speak to a professional member of the Universal Machine consulting team. Our consultants are industry professionals with an average of 30 years of experience in industry, making them uniquely qualified to provide you with the knowledge needed to take you from start to finish in a new product launch, process automation, equipment upgrade and more. Our consultants work intuitively with our engineering team to make sure that your project goes smoothly from start to finish. Universal Machine provides the highest level of consulting and expertise in the field to make sure that your project is handled professionally, on spec, and on-time. Work with the best…the Universal Machine Team!